Our unique teas and chai start with a search for the very best ingredients. The finest teas, herbs, and real spices are hand selected to achieve the truest and fullest flavour. Each of our offerings, from single-origin black teas and whole leaf green teas, to our aromatic chai teas, have one unifying characteristic – the taste of being plucked fresh from premium tea gardens. 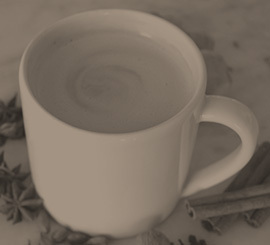 Steeped black tea with select rich spices, cane juice and dark dandelion honey, to provide a full-flavoured chai tea. Made from premium quality tea leaves, herbs, real fruits, flowers, and spices, Numi Organic Tea is sourced directly from fair trade and organic gardens. Numi Organic Tea recognizes that it’s not just premium ingredients that create an outstanding tea, it’s also the people behind it. They make sure their growers and staff can share their success through direct and fair trade sourcing, supply chain audits, and a company culture that values collaboration and diversity. This formula results in a host of delicious organic teas that your customers can feel good about supporting. Learn more about Numi here. Paisley is a finer cut of tea in a simple paper teabag. It’s affordable, flavourful, and organic and fair trade to boot. 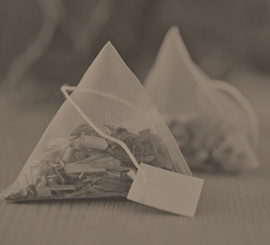 Paisley Label Tea, by Two Leaves and a Bud, is everything your customers want in a simple paper teabag. It’s organic, fair trade, non-GMO, and kosher, but it’s also very affordable, with 20 teabags per box. Most importantly, it’s delicious, full-flavour tea that’s bright and multilayered. 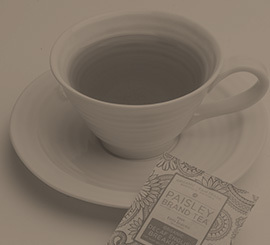 Learn more about Paisley Label Tea here. Two Leaves and a Bud Tea Company takes tea personally and believes the finest tea should be prepared in its natural form – real whole leaf. Two Leaves and a Bud is an independent tea company from Colorado, known internationally for producing high-quality organic and fair trade teas. Named for the top two leaves and bud of the tea plant (Camellia sinensis), plucked by hand to make the world’s best tea, Two Leaves and a Bud was a pioneer of the pyramid-shaped sachet in North America. The special shape and size of the sachet allows the tea to infuse completely, providing fuller flavour and a more memorable tea experience. Truly great tea is a labour of love; each season’s new teas bring variance in cup colour, flavour, depth, and intensity, all of which need to be cupped and assessed. Every tea from Two Leaves and a Bud reflects the passion of the people who work there. Learn more about Two Leaves and a Bud here. Gourmet Cafe Essentials for blended and hot specialty beverages, and creamy Fusuro concoctions – they’re all right here to enjoy. On Demand Products not regularly stocked. 7-9 weeks lead time. Minimum order 1 case. ODOn Demand Products not regularly stocked. 7-9 weeks lead time. Minimum order 1 case. 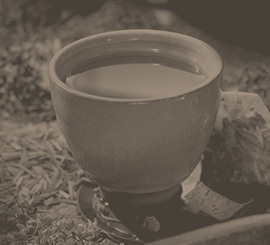 The original breakfast tea, from the Assam region of India.